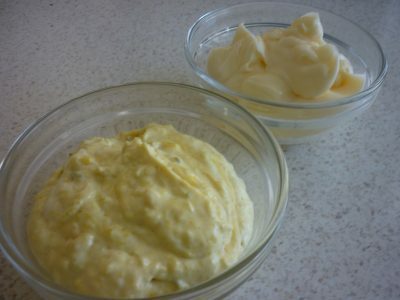 Homemade Danish Remulade and Mayonnaise recipes. 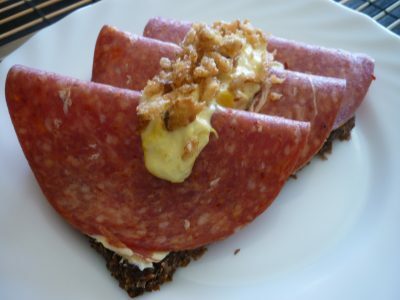 The Danish Remulade is commonly used in Denmark as topping on open sandwiches, hotdogs, fish fillets, and dip for fries and if you have a sausage at a hotdog stand remoulade will be served on the side, some Danish people use Remulade on everything. The Remulade is yellow in colour and has a viscous consistency . The base for the remulade is mayonnaise, but if you use a shop bought mayonnaise most of the times you will find it will turn out too thin and runny. Remulade is made by mixing mayonnaise and Sweet Mustard Pickles, but it turns out best if you make your own mayonnaise. That way you will have mayonnaise left over for other uses such as Italian Salad, in Danish “Italiensk Salad”, a topping that is used mainly for open sandwiches with Ham. 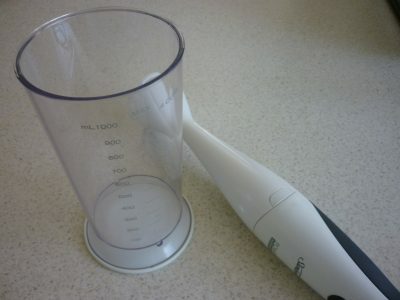 Use a stick blender. Add Egg, Salt, White Wine Vinegar and about 50 ml (1/4 cup) of the Vegetable Oil. Start blending and add the rest of the Vegetable Oil a little at a time making sure every time you add Oil that it is mixed in well otherwise the mayonnaise will separate. If the mayonnaise does separate then you will have to start from the beginning again but you can add the separated mayonnaise to the new mixture at the end. Leave 2 large table spoons of the mayonnaise in the mixing bowl, add the Sweet Mustard Pickles and blend it together with the stick mixer. Using Sweet Mustard Pickles instead of fresh product will make it last up to 3 weeks in the fridge compared to 2-3 days if you use fresh herbs and vegetables for the Remulade. Homemade Danish Remulade and Mayonnaise. with Salami, Remulade and Fried Onions. The Italian Salad is a mixture of mayonnaise, baby peas, carrots and asparagus tips . ¼ cup of Baby peas and about 1/8 cup of asparagus tips cut into small pieces. Boil all the vegetables for 4-5 minutes, drain and let them cool down before mixing with 2-3 large tablespoons of homemade mayonnaise.